Chinese medicine (CM) is usually prescribed as CM formula to treat disease. The lack of effective research approach makes it difficult to elucidate the molecular mechanisms of CM formula owing to its complicated chemical compounds. Network pharmacology is increasingly applied in CM formula research in recent years, which is identified suitable for the study of CM formula. In this review, we summarized the methodology of network pharmacology, including network construction, network analysis and network verification. The aim of constructing a network is to achieve the interaction between the bioactive compounds and targets and the interaction between various targets, and then find out and validate the key nodes via network analysis and network verification. Besides, we reviewed the application in CM formula research, mainly including targets discovery, bioactive compounds screening, toxicity evaluation, mechanism research and quality control research. Finally, we proposed prospective in the future and limitations of network pharmacology, expecting to provide new strategy and thinking on study for CM formula. 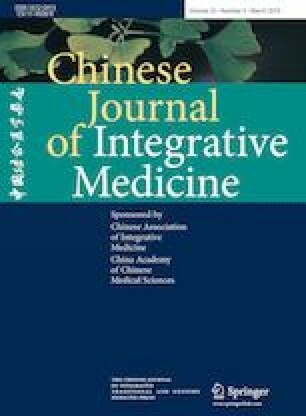 Supplementary materials (Appendixes 1 and 2) are available in the online version of this article at https://doi.org/10.1007/s11655-019-3064-0.